Off-highway rig logging pictures, are a sight to behold! 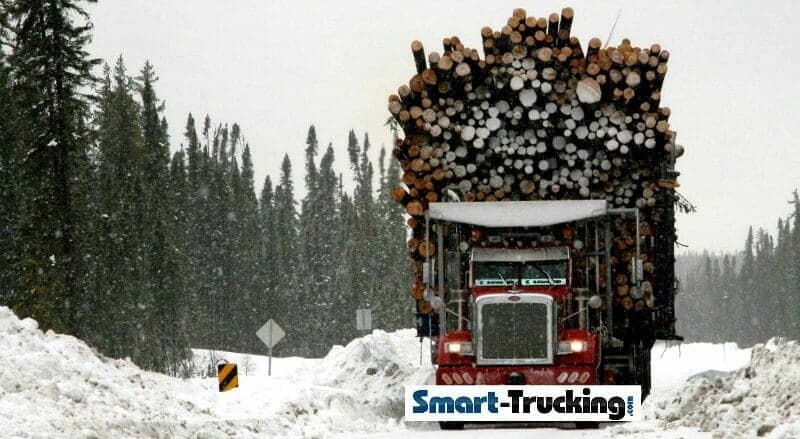 At first, the photos of these tough rigs may look fake to the viewer with their massive, high loads of logs. Perhaps a trick by a masterful photoshop artist! 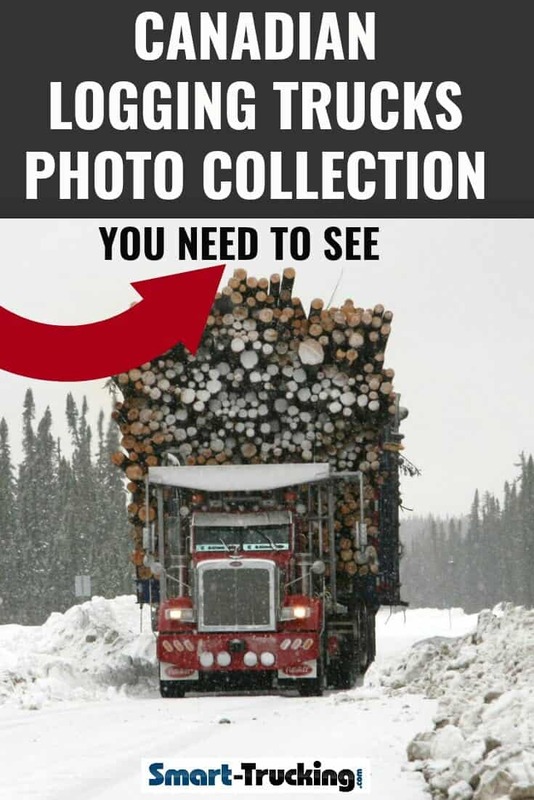 However, I assure you, these logging truck pictures are real and untouched! Back in the late 80’s, operators and saw mills wanted to take advantage of the fact that these trucks were running on private-roads, and weren’t subject to the same weight restrictions as trucks operating on public highways. 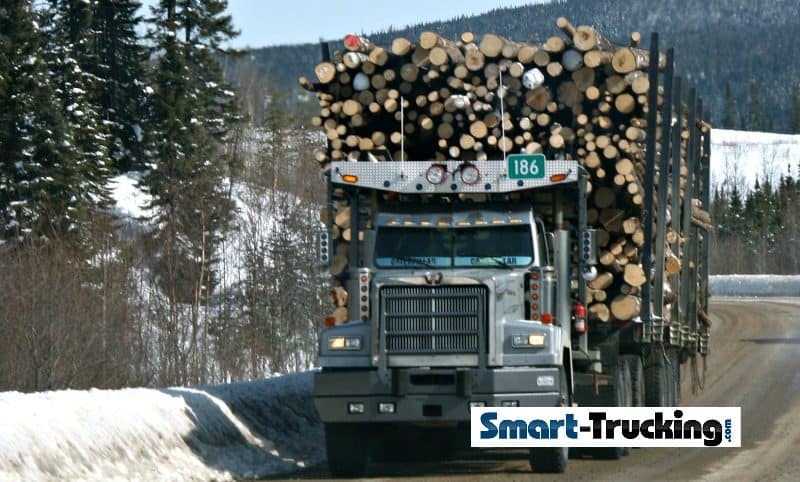 These operators and mills realized that by using beefed-up highway models, they were able to double or triple the load capacity of the logging trucks, since they were operating strictly on private roads. 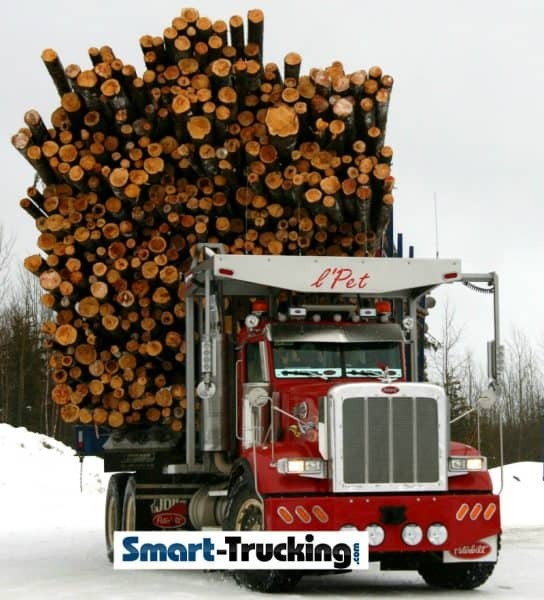 This photo shows a Peterbilt with a MEGA-LOAD….quite a common sight on private roads in Northern Quebec. 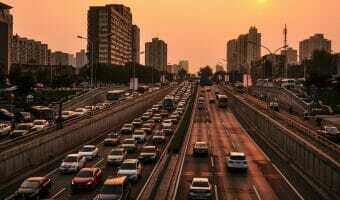 The key to increasing capacity? Units with bigger axles with “planetary reduction in the hubs, giving necessary capacity for the high loads. 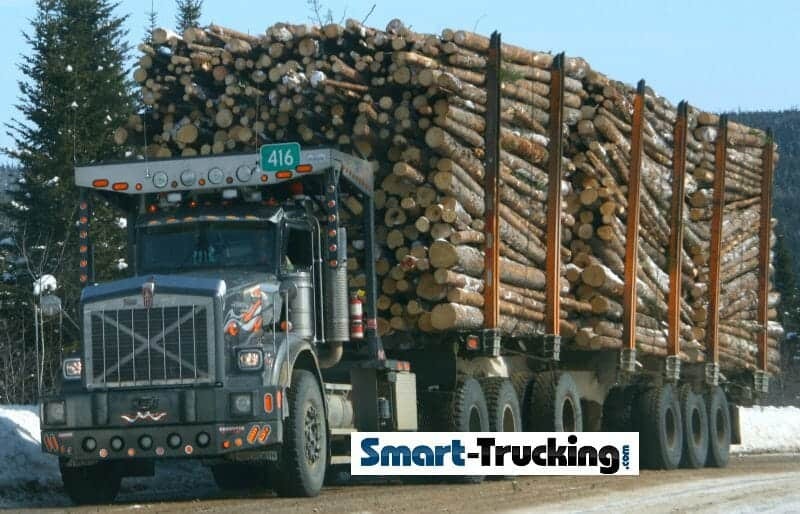 Normally, a tandem axle of a logging truck might have a capacity of 46,000 or 58,000 lb, with ratio of 5:1. 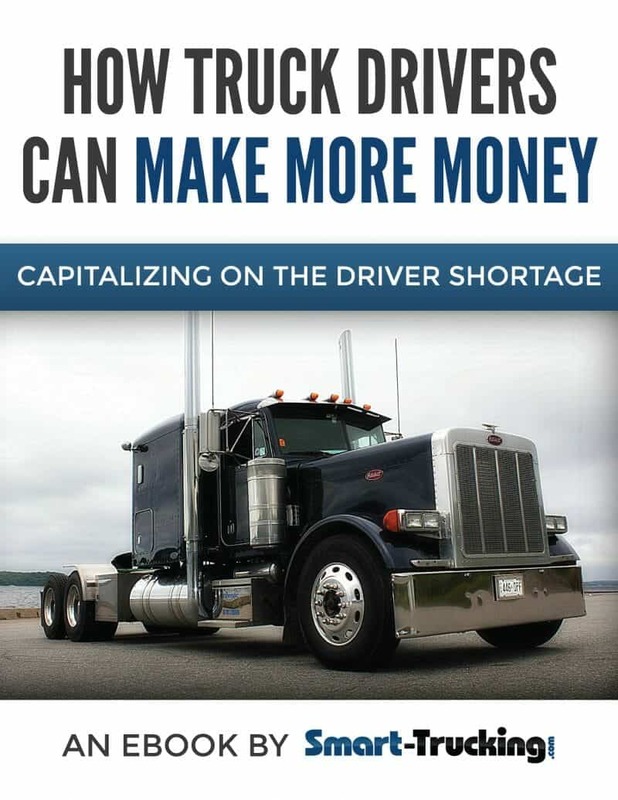 On the other hand, planetary axles have capacity of 85,000 lb and 110,000 lb, and a ratio of 9.59:1, a significantly greater capacity for pay load, and thus increased revenue for the mill operators. And THEN, Add a Bigger Diesel Engine! 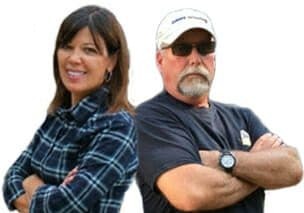 With the biggest available, 600HP Cummins K19 and 500HP Mack V8, and triple frames, they were grossing out loaded between 300,000 and 400,000 lb. 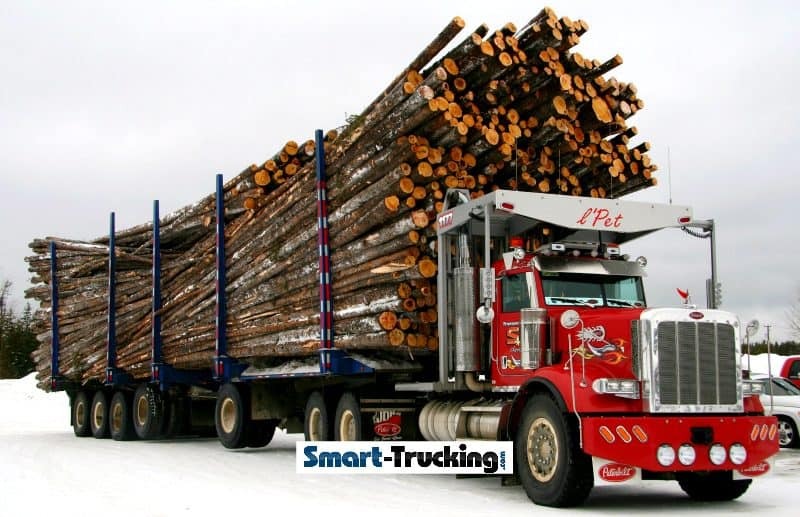 There were tractors in Quebec, with triple trailer road trains, pulled by a Pacific P12 with a 700HP Detroit Diesel 12V92TA….. logging trucks built for hauling mammoth loads! These behemoth trucks, started to be very popular in the 90’s and were called “planetary”, because of the axle configuration. 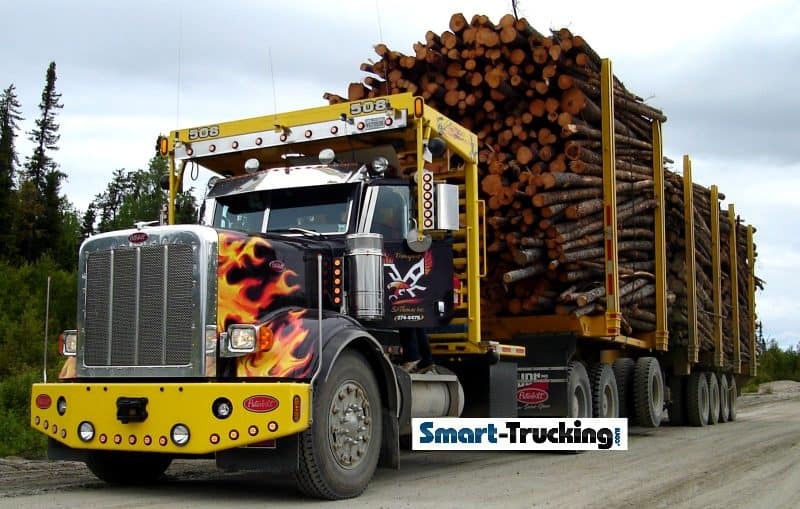 Nowadays, trucks specked for logging are mostly Western Star, Kenworth T800 wide nose and some Peterbilt trucks, still with planetary axles. Smaller off-highway tractors have 12 foot wide trailers, good for total weight around 300, 000 lbs. 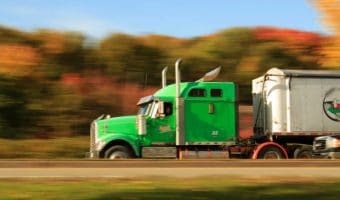 Most of these tractor trailers have 110,000 lbs axles and 14 foot wide bunks, good for a total weight ranging from 350,000 lb to over 400,000 lbs. 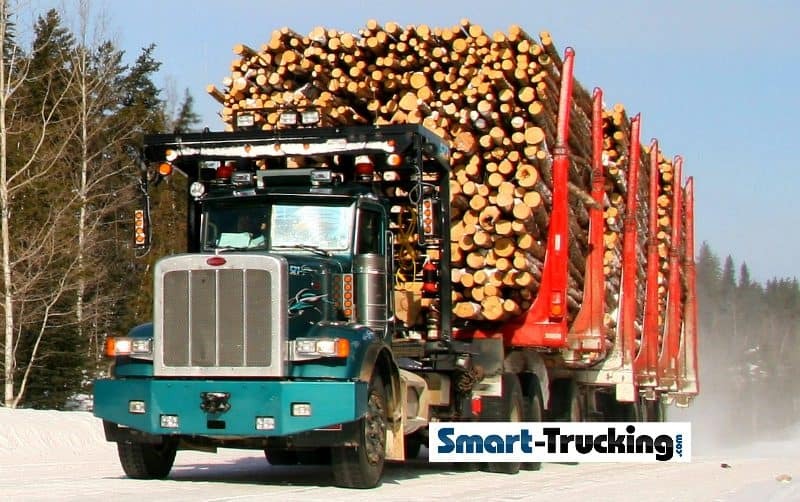 The really huge Canadian logging trucks, tend to be VERY expensive, to the tune of $300,000! These are brutally hard running rigs. They run hard and they run for long days and nights! 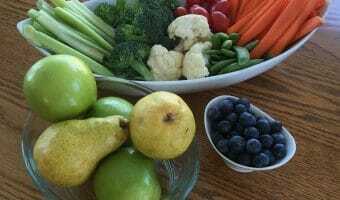 A VERY BIG THANK YOU to Eric Moisan-Bouchard. His generosity in sharing the photos and his knowledge on this subject is very much appreciated.